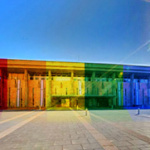 An embarrassing incident clouded LGBT Right Day held in the Knesset on Tuesday, when five LGBT couples who went outside to get photographed kissing near the Knesset building, were expelled by the Knesset Guard. 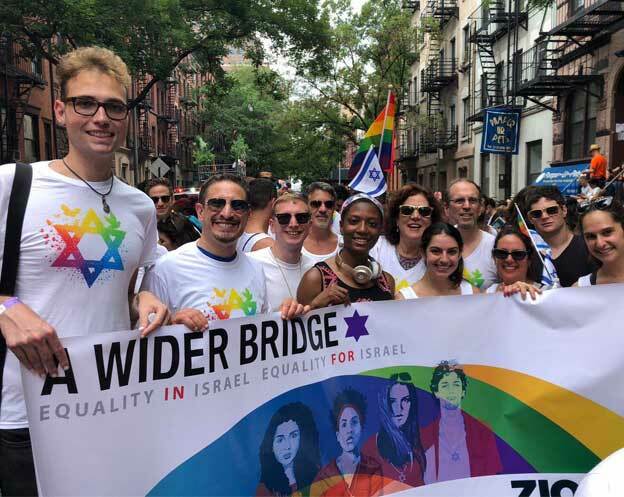 “We were two lesbian couples, two gay couples and one bisexual couple,” wrote Abigail Givon, one of the people in the picture. “Before we left, we passed the guard at the main entrance and told him, ‘We’re going to be photographed outside, will you remember us?’. “Terrific”, he answered” and we went outside. According to Abigail, they never recieved an explanation for their expulsion, but the guard took their credentials and they were taken out of the Knesset area. 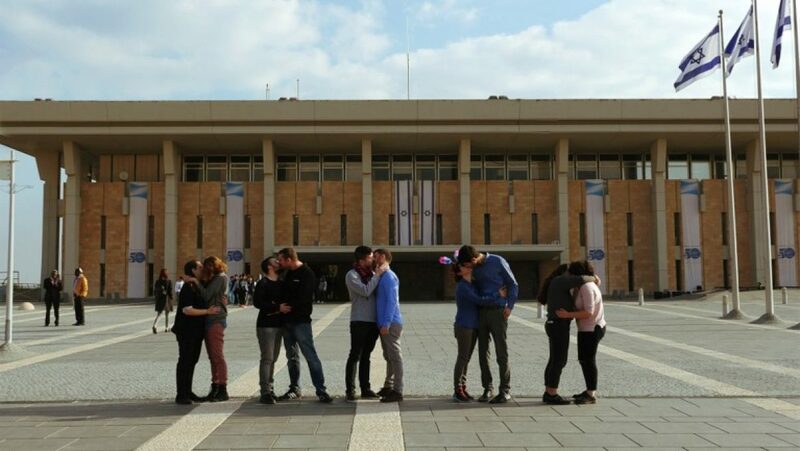 MK Tamar Zandberg, who heard about the case, approached the Knesset Guard immediately, objecting to the selective enforcement and claiming that there is no law that prohibits kissing with the background of the Knesset. 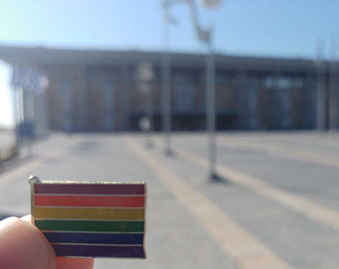 Following MK Zandberg’s claim came an apology from the Knesset Guard: “This is a mistake for which we apologized, but it is important to say that the Knesset did its best to host hundreds of guests of the gay community in the most successful and respected way on LGBT Rights Day”.